I had hypothyroidism and slowly my hair started to fall. I realised that I am slowly balding in front and it made me depressed. I tried various lotions and drugs and it still dint help. I realised that hair care was complementary to my medical condtion and I had to do something about it. That is when I came across hair – Pep. This natural lotion is herbal and I had no side effects. After 8 months my hair slowly began to regrow. This picture was taken after 10 months of use. You can see the difference. 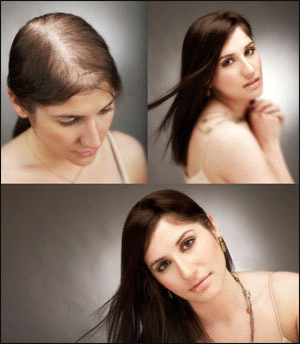 Try hair pep a natural solution for hair loss. Who ever said hair does not grow after 60 is wrong. I lost hair last year for some unknown reason because I was otherwise healthy. 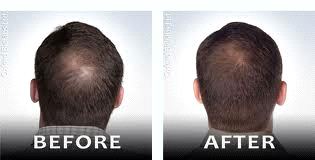 My hair started thinning diffusely in the front and my front hair line was receding. and I had severe hair fall. I tried several doctors and drugs and lotions but in vain. I read about Hair-pep and started trying it. In 3 months my hair fall was arrested and hair stared growing. I’m in the 8th month of the treatment with hair pep and my hair is growing back. I thank Hair pep for this. I started losing hair 2 years back. It was getting worse and I was fed up going from one cosmetologist to another and spending heavily. I lost interest at work and my career was sliding. Last year I discovered hair pep. In one year my hair has started growing thicker and my hair is like how it used to be before. I still use hair pep and recommend it to everybody. George had severe thinning of hair at the back. 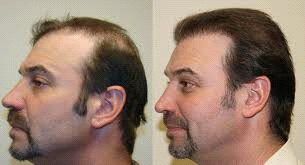 He then ordered Hair Pep from our site and in 8 months he said he was getting his hair back. He even sent these photographs a proof. He still continues to use hair pep. I was terrified when I started to lose hair profusely at the fore. Having tried so many lotions and medicines I almost gave up. Then I came across Hair pep and thought I would try it one last chance. It worked. This herbal and natural formula helped me regain confidence in seven months when my hair began to regrow. I still use it regularly and my hair fall has totally stopped. This teen submitted her photo after using Hair pep for one year. 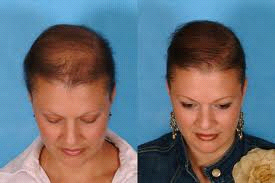 She suddenly started losing hair and had some medical condtion like anaemia and too much crash dieting. Along with treating her condition she applied hair pep as well. Her hair is back to normal now. I had mild hair loss at the back of the head and ignored it. It started getting worse and my cousin recommended hairpep. I started using it and after one year you can see my picture and tell howeffective hair pep has been. Try it and you will not regret if you have hair fall. I was stressed after my divorce and was on depression pills. My hair started falling and my front hairline became thin and receding. My sister suggested hair pep because a few lotions I tried had failed. In a year’s time my hair regrew so well and this gave me the confidence to start a new life. I am off my depression tablets also but I will still continue hair pep for a few more months. Hair pep is wonderful and has no side effects. My hair in fact regrew thicker. Thank you Hair –pep for giving my life back. Due to heavy travel I often changed shampoos and could not follow a good diet. My corporate work was full of stress as a sales person and I could only think of targets. I stared losing hair on the front and I straight away started Hair pep as I had heard of it. This natural herbal topical solution helped me regrow hair in 4 months. I am in the fifth month and it is working amazingly well for me. The best part is, there are absolutely no side effects! I stared losing hair soon after I delivered my second baby. This combined with post natal blues made me very depressed. I was hovering from one hair loss solution to another. I finally found hair pep through a friend who had used it. In 10 months my hair regrew to how it was before. The first three months my hair fall stopped and then hair started growing thinly at first and then it stared to gain thickness all around. 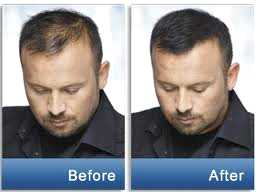 Hair pep is the one stop solution for all kinds of hair loss and I have recommended it for my friends. 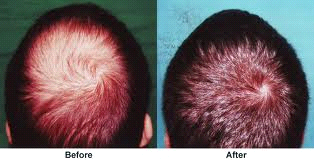 I had diffuse hair loss in the frontal crown and I had read about Hair Pep. I thought I’ll try it and to my surprise within six months my hair regrew and in about 10 months it started thickening and getting back to shape. Lovely product highly recommended. I had seen many doctors and used drugs and lotions. Although the hair loss would show improvement it would start again when I discontinued the lotions. At the same time I was having side effects like nausea and allergy. I switched to Hair pep and the first thing was no side effects. After using it for a year now my hair is growing well and the hair fall has stopped. Hair pep is trust worthy and safe. When I suddenly started balding at the back I was terrified. I used some topical solutions but it was not working. Then I used Hair Pep and in a year’s time my hair regrew well and hair loss was arrested. Look no further. Hear pep is the best. 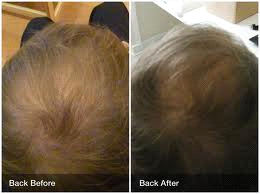 I was diagnosed with alopecia and I stared using topical creams and solutions. I tried different treatments but finally Hair –pep helped me. This herbal solution delivered what it promised. In six months the bald patch was covered with newly grown hair and my hair stopped falling. Hair pep is truly a miracle lotion. When I was diagnosed with diffuse alopecia my world crumbled around me. I was just getting my portfolio for a modelling career. I stared using hair Pep along with some tablets because I had a medical condtion. After my condtion was treated I continued Hair pep. My hair grew back to normal in a year’s time. Since hair pep is not allergic I could use it with my medicines without worrying about harmful reactions. My hair suddenly stared thinning and with my hectic life style I had no time to visit a doctor. My friend recommended Hair Pep and I started using it. The topical solution was easy and hassle free to use. It had no contra indications. I have been using it for 9 months now and my hair is re growing well and thick too. 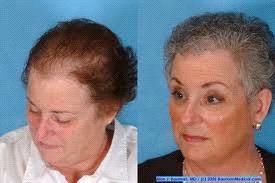 Thanks to hair –pep a good product for anybody fighting hair loss. I could not understand why I was having hair loss and diffuse thinning on the front of my head. I tried many lotions for a year since it did not help I switched to Hair Pep. That was the best thing I did. My hair started growing back in 6 months and after 9 months it is now thicker. I still use it and am thankful for finding Hair Pep. I had hair loss and was getting bald on one side. My hair was receding so fast that I didn’t know what to do. Then I found hair Pep and it has been my saviour. I used it on a regimen every day and after 8 months my hair has started re growing and my bald patch has also closed up. I am sure it will get better as I use it. Thank you Hair pep.